Unlike most other owls, the Northern Hawk-owl does not fly on silent wings. Its feathers are stiffer than nocturnal owls so when it flies its wings do make some noise. The Northern Hawk-owl is able to catch prey using only its hearing! 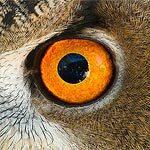 Scientists have documented it picking up on noises made by prey moving as much as 12 inches beneath the snow - the Northern Hawk-owl then swoops down on this "invisible" prey and grabs it with its sharp talons. Despite its excellent hearing, Northern Hawk-owls do not have asymmetrical ear openings, like most other owls. 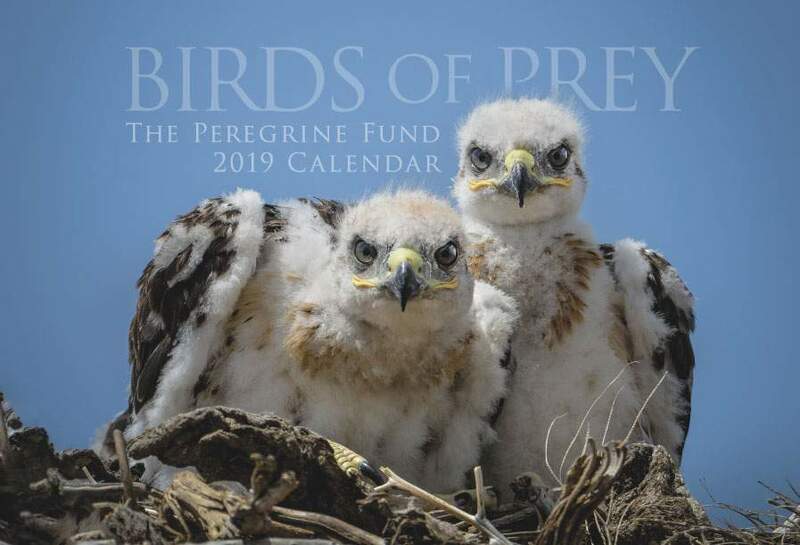 Though The Peregrine Fund doesn't work directly with Northern Hawk-owls, our efforts in scientific research, habitat conservation, education, and community development help conserve birds of prey around the world. We also supply literature to researchers from our avian research library, which helps scientists around the world gather and share important information on raptor conservation. The Northern Hawk-owl is distributed across much of the Northern Holarctic region - which is the area covered by the Nearctic and Palearctic regions combined. In North America, this owl can be found in Alaska, (in the U.S.) and throughout much of Canada. Though generally this species is not considered to be migratory, individuals have been known to travel further south, particularly in winter, when food may be more scarce in their regular haunts. If this is the case, some of these owls may travel to southern Canada or even as far south as the northern United States in search of prey. In Eurasia, it can be found in parts of China, Siberia and the United Kingdom. The Northern Hawk-owl makes its home in boreal forests, otherwise known as taiga - open forests where mainly coniferous trees such as pines and spruces, grow. According to the Idaho Department of Fish and Game, the Northern Hawk-owl has a particular fondness for "brushy, tangled areas around swamps or streams, or the forest edge near muskeg (peat bogs)." When you heard the name of this species, Northern Hawk-owl, for the first time, perhaps you asked yourself... well... is it a hawk or an owl? If you were to study this species' behavior and some of its traits in search of further clues, you might become even more confused. After all, the Northern Hawk-owl has a long tail and pointed wings, like a falcon. Its flight pattern is very similar to that of accipiter hawks and its hunting style has been compared to a Cooper's Hawk. It tends to bob its tail when perched and it is adept at hovering, just like a kestrel. It is also active during the day, like a hawk. So, is the Northern Hawk-owl a hawk or an owl? It is an owl, of course! Though it has some characteristics that resemble hawks and falcons, if you look closely enough you will find the tell-tale signs that this magnificent bird is, indeed, an owl. Being stared down by a Northern Hawk-owl is an experience you will never forget. Its piercing yellow eyes, framed by a distinctive facial disk, make for one intimidating glare. But, unless you are a rodent, you have little to worry about. In fact, the longer you look at a Northern Hawk-owl, the more you will realize how sweet-looking it is. It is a lovely combination of dark and light, which makes for some striking plumage patterns. It has a dark head covered with white spots - making it look like it was caught out in the snow for too long. The color of its breast ranges from whitish to rusty, with dark stripes running horizontally across. Its back is mostly black with white mottling along the wings. It has a yellow beak to match its eyes and its legs are feathered in rufous all the way down to its toes. Its light grey facial disk is surrounded by lines of dark feathers. Unlike most other owls, the Northern Hawk-owl is quite content to go about its business of flying, hunting and perching, during daylight hours. This owl isn't shy when it comes to people and can often be seen perched in the tops of tall, conspicuous trees. Like many owl species, the Northern Hawk-owl has a variety of calls, depending on its mood. The male emits a rapid, rolling whistle when searching for a mate. A screech ending on a high note or a series of short chips might signal the alarm. When distressed, its call sounds like a combination of a falcon cacking and tires squeeling. Though, for now, scientists believe that the population of Northern Hawk-owl appears to be stable, this species still faces many threats, not the least of which is the fact that this owl really hasn't been studied very much in North America - meaning there is a whole lot we still need to learn. The owl may be affected by climate change. And, of course other natural or human destruction to its boreal forest habitat could spell trouble for this medium-sized owl. The Northern Hawk-owl feeds mostly on voles - which is a small rodent - and other small mammals (like mice and lemmings) and birds, including jays, ptarmigan (one of the favorite foods of the Gyrfalcon), robins, starlings, and even grouse. But, it will also take larger prey - like a Snow-shoe Hare! n order to catch its prey, this owl may use a number of different hunting techniques. It might use a "sit and wait" approach to hunting. This means it spends time sitting and waiting on an exposed perch. This gives it a a nice view of its hunting grounds and all it needs to do is wait for unsuspecting prey to scurry or meander past. Once a Northern Hawk-owl sees something it would like to eat, it swoops down onto its prey, and grabs it with its strong feet and sharp talons. 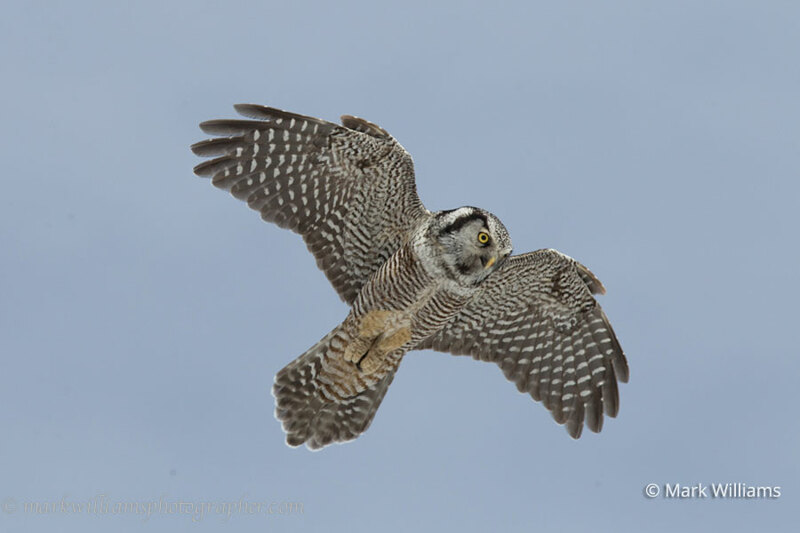 The Northern Hawk-owl can also be seen flying low over the ground as it actively searches for food. Then, it might hover briefly above its prey - which it might locate with its sharp eye-sight or excellent hearing - before dropping down to catch it. Like many owls, the Northern Hawk-owl has exceptional hearing. In fact, sometimes it only uses its hearing to locate and capture its prey. Imagine a field covered in several inches of snow. Some small mammals travel beneath the snow, so as to move back and forth unseen by potential predators. 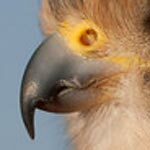 While this might work well to protect them against some predators, not so in the case of the Northern Hawk-eagle. This owl has such amazing hearing, it can detect a small mammal moving beneath the snow just by the sound it makes as it moves. The owl will then pounce feet first into the snow - very often hitting its target! 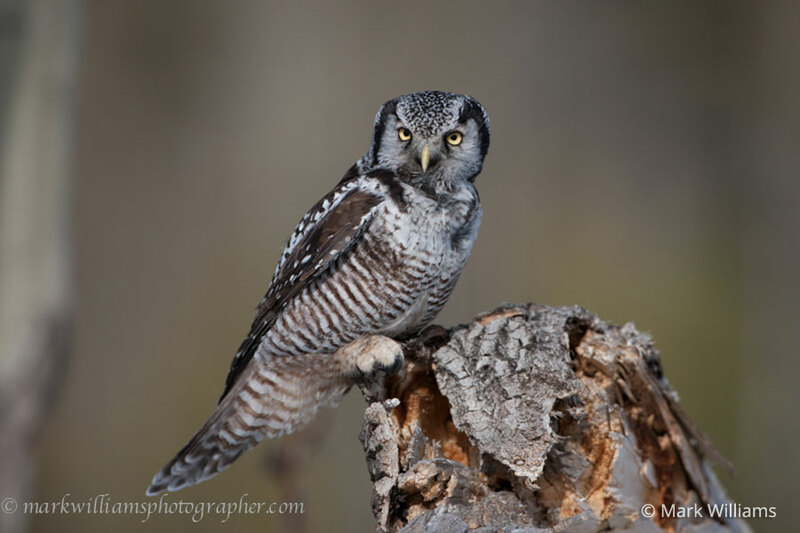 The Northern Hawk-owl, like many owl species, often nests in hollowed out stumps or trees. However, if it comes across an empty nest - abandoned by its former owner (usually a hawk or a crow) - it might decide to use that instead. When the time is right, the female owl will lay between 3-10 or even more eggs! The number of eggs she lays depends on the size of the prey population. In other words, if there is a lot of food available she will lay more eggs, as this means there will most likely be enough food around to feed all the growing young. Once the eggs have been laid, it is up to the female to do most of the incubating. She must sit on the eggs almost continually for the next 25-28 days, or so. Incubation is critical - if the eggs aren't well protected and kept at a safe temperature, the young owls growing inside might not survive. While the female is busy taking excellent care of the eggs, the male isn't just sitting around. He has a hard job too. He must find enough food to feed himself and the female during this time! After the young owlets hatch, the female will continue to brood the young. This means she stays with them in the nest, often covering them with her body, to help keep them warm. About two weeks after the young hatch, the female gains a bit more of her freedom. She will begin to leave the nest for long stretches - most likely she is out hunting at this time. But don't worry - now is when the male steps in. He keeps a close eye on his young and will defend them quite vigorously against any perceived or real threat - such as another bird of prey flying over. After about 3.5-5 weeks after hatching, the owlets will be ready to fledge, for fly for the first time. The male and the female will help care for and feed their growing offspring until they are able to survive and hunt on their own! 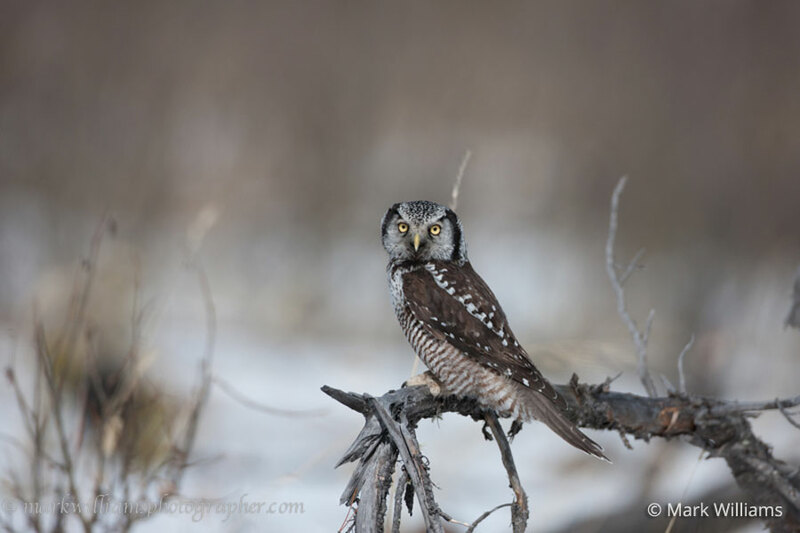 In winter, the Northern Hawk-owl can somtimes be spotted in the forests of Northern Idaho. This is particularly true when food is very scarce in its regular territory. When that happens, individual Northern Hawk-owls will travel in the hopes of finding more abundant food sources. Sometimes, their travels bring them to Idaho. Though rare, scientists have documented the Northern Hawk-owl breeding in the northern part of the state. The visitor center at our World Center for Birds of Prey includes owls among its avian ambassadors. Though we do not have a Northern Hawk-owl in our avian ambassador family, we do have a lovely Eurasian Eagle Owl and a Western Screech Owl, that both enjoy visitors. This is a great chance to see owls up close and learn about the wonderful and interesting adaptations they have in order to survive in their respective habitats. There is also a touch table with owl feathers and other natural objects available for exploration. And, our knowledgeable staff and volunteers are always on hand to answer any questions you might have about Northern Hawk-owls or any other raptor.